Tax Treatment: While the trades executed in a HiPOS account are all short-term in nature, the options used get special tax treatment. Options on SPX, NDX, and RUT are all Section 1256 contracts. Section 1256 positions held for less than a year and closed at a profit are NOT treated as 100% short-term gains. Instead, section 1256 contract gains are taxed at 60% long-term rate and 40% short-term rate. 1099s: Last year, TD Ameritrade’s 1099 categorized the HiPOS positions in the Section 1256 Contracts section. Here is a link to a hypothetical example. Form 6781: When submitting tax returns, Form 6781 is usually required along with the filing. 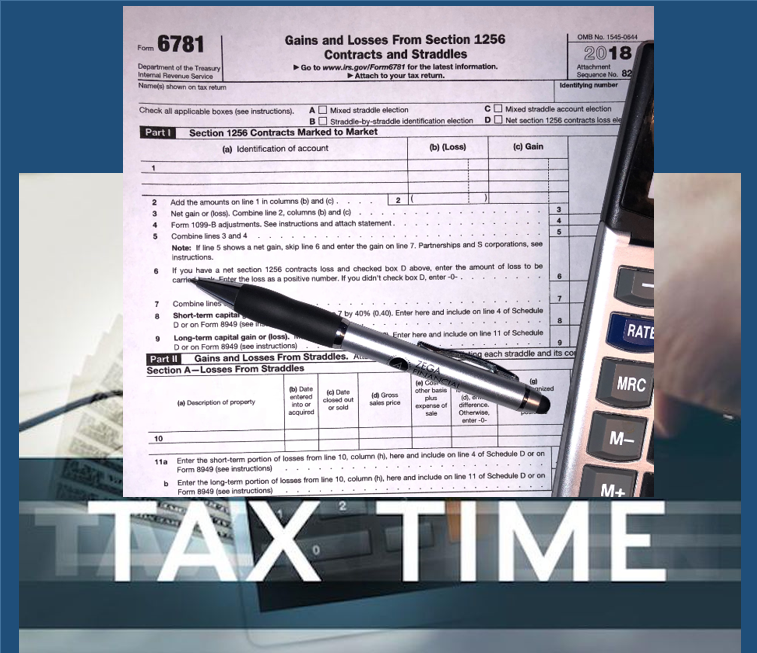 While we recommend consulting a tax expert, here is a link to a sample 6781 form. You can see that in Part 1, the 40% and 60% treatment are identified. Note that none of the boxes on the top of the page are checked, as none apply. In our opinion, one of the best things about the HiPOS strategy is the tax treatment. First, you get the LT cap gain rate for 60% of a trade that was clearly short in duration. And second, come tax season, you don’t even have to report all of the individual trades that ZEGA did in your account. Instead, you get to just report the 4-line items from the 1099. Input them in to your tax prep software and the taxes are calculated for you! Time saved compared to most actively traded strategies! The good news is that the CBOE (Chicago Board of Options Exchange) publishes a PDF booklet titled ‘Taxes and Investing’. This document can assist with how various option positions are handled in addition to our HIPOS trades. This includes long options, covered calls, and cash secured puts. Some advisor’s clients have reported that their accountants were happy to have a link to that guide. We hope this helps – but remember that you can always call our offices and we can walk you through this special tax treatment!